Old Halls Creek is a picturesque deserted township where the ruins of several old mud brick buildings remain as testament to what was once a booming town, with a population of over 3,000 people. Check out the fascinating ruins of the old Post Office and wander through the old cemetery. Enjoy a picnic and a swim at Elvire River and soak up the tranquil surrounds. 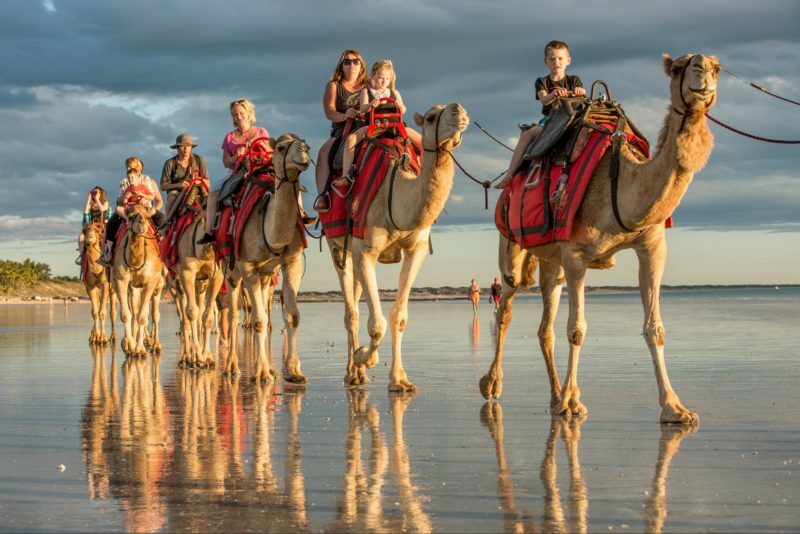 Try your hand at prospecting for gold in what was the site of Western Australia’s first main gold rush in 1885. Local prospectors still find gold there today. 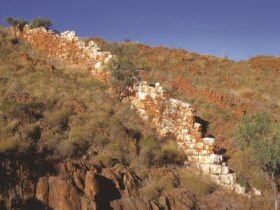 In 1955, the Halls Creek town site relocated 15 kilometres to the northwest, to less rugged terrain and adjacent to the then newly constructed Great Northern Highway. There is a small caravan park in the old township which offers basic accommodation. 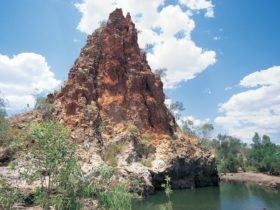 Halls Creek is a 7 hour drive east of Broome or 4 hours from Kununurra. 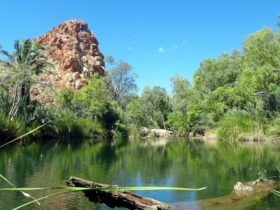 The drive from Halls Creek out to Old Halls Creek is an enjoyable journey with some lovely scenery along the way. There are a number of creek crossings where care should be taken.